Shares are the fastest growing area of financial spread trading and many of the largest US, UK, European and Australian stocks can be traded through financial trading companies. 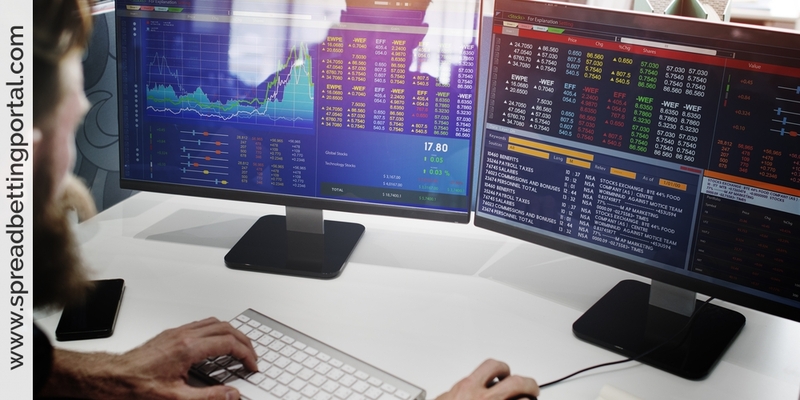 The range of stocks available will vary between spread betting providers so it may be prudent to establish more than one account or to focus on trading a particular market. Trades take the form of a bet on a share future or rolling daily – futures usually have an expiry date of June, September, December or March. Contracts that expire on a daily or weekly basis are also available through many spread betting companies. 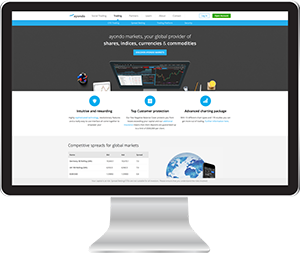 THOUSANDS OF MARKETS FROM ALL OVER THE WORLD. Spreads on share futures take account of the interest cost to the bookmaker of holding the stock to hedge its exposure, minus the expected dividend income on that share before the expiry of the future. Trading spreads on share futures are generally greater than the underlying share price for firms that pay no – or very small – dividends. Trading spreads on share futures are generally lower than the underlying share price for firms that are about to pay a large dividend. Spread trading on individual shares has several advantages compared to buying shares through a stockbroker. There is no stamp duty; there is no dealing commission; profits are not subject to capital gains tax; and punters can easily bet down on a share price as well as bet up. The spread on a particular share will always be wider than the gap between the bid price and offer price for that share on the stock market. For UK listed stocks, one point is usually equivalent to a one pence movement, and the minimum bet is normally £1 a point. 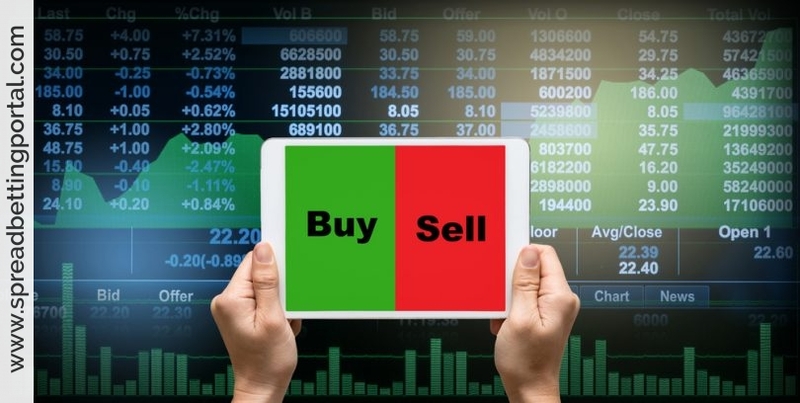 Speculators might still find spread trading more cost effective than buying the underlying stock, because it does not incur any dealing commission or stamp duty and trades are highly leveraged. Additionally, bets be made either way. You can either bet a price will rise by going long or that it will fall by going short. Spread trading on shares is generally not suitable for long-term investors. This is because it gets more and more costly when trades have to be “rolled forward” to a new contract and spread trading does not provide any ownership of the share to the speculator. In any case it is always possible to close a position at any time by placing an equivalent bet in the opposite direction, known as a closing bet. Spread trading on a share may also involve more risk than buying a stock in the conventional way. If the company’s shares were suspended due to financial trouble, then ordinary shareholders would have an outside chance of receiving a dividend eventually once the insolvency process was complete. Someone who had made an up-bet on the stock would not. It is worth mentioning that the whole point of opening a position is to close it at a better level. This means that from where I open it to the close the share price moves and normally that movement is locked in a trend. So i put up a bunch of technical indicators on a bar chart and when the trend ends I am out waiting for the next opportunity to materialize. On day 1, the spread on Telstra shares with a particular bookmaker is 473-489. The minimum bet size is $5 a point, and the expiry date is five weeks away, in the middle of the next month. Oscar Optimist makes a $10-a-point up-bet on Telstra from 489, the top of the spread. Peter Pessimist makes a $5-a-point down-bet from 473, the bottom of the spread. A week later, Telstra shares have risen sharply. The spread betting company’s spread is now 545-551. Oscar Optimist has a paper profit of $560 (545 minus 489, times $10), but he decides to hold on in the hope of making even more money. Peter Pessimist decides to close out his bet in accordance with his trading plan, before his losses get even greater. He loses $380 (551 minus 473, times $5). The Telstra bet expires in the middle of the next month at 553. Otto has made profits of $640 (653 minus 589, times $10). His spread trading company rings to ask if he wants the bet to be “rolled forward” to a new contract month three or six months ahead, but he declines. Note: It’s counterproductive to hold shares that don’t move…. For that kind of holding I prefer to put my cash under the mattress… so far it works my mattress hasn’t posted yet a profit warning. You might have heard before that there’s no dividend in financial spread trading but it is not entirely true and special adjustments are made to accommodate this issue. When it comes to financial spread betting dividends still play important role even though officially there is no dividend in spread betting. It is essential that you understand how dividends are treated and calculated in spread bets. Why? As you might notice an individual stock will open lower on ex-dividend day and the difference will equal to the amount of dividend (all things being equal). Thus adjustment for dividend plays a central role in financial spread betting. In actual fact with any CFD or spread betting account, you get paid on ex-dividend day so don’t even have to wait until the true shareholders get their money on dividend pay day.